Gavin Cawley (University of East Anglia, UK): Best prediction accuracy on SIDO and MARTI, using Causal explorer + linear ridge regression ensembles. Prize: $400 donated by Microsoft. Yin Wen Chang (National Taiwan University): Best prediction accuracy on REGED and CINA, using SVM. Prize: $400 donated by Microsoft. 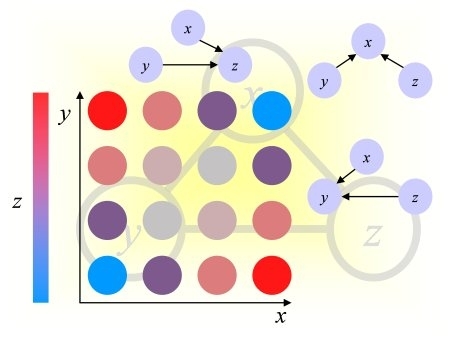 Jianxin Yin and Prof. Zhi Geng’s group (Peking University, Beijing, China): Best overall contribution (best on Pareto front causation/prediction, new original causal discovery algorithm), using Partial Orientation and Local Structural Learning. Prize: free WCCI 2008 registration. 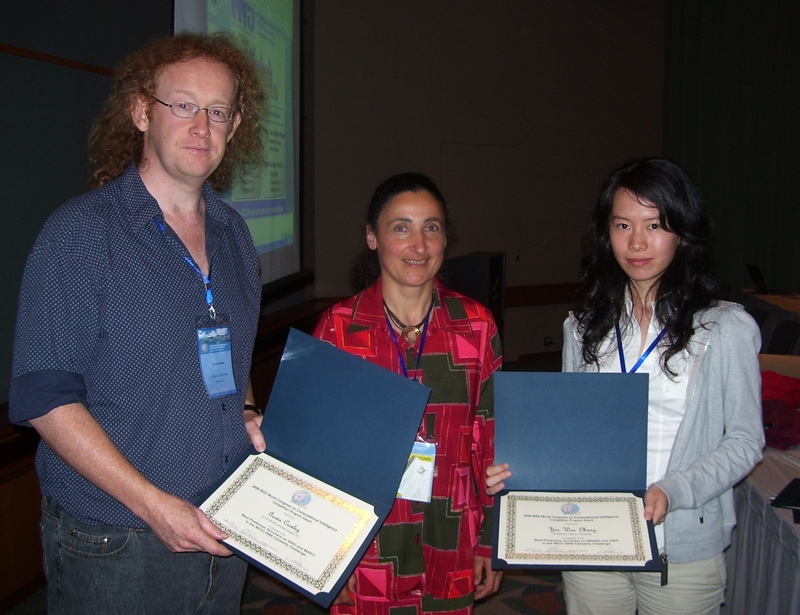 Left: Gavin Cawley and Yin-Wen Chang receiving their award from Isabelle Guyon. 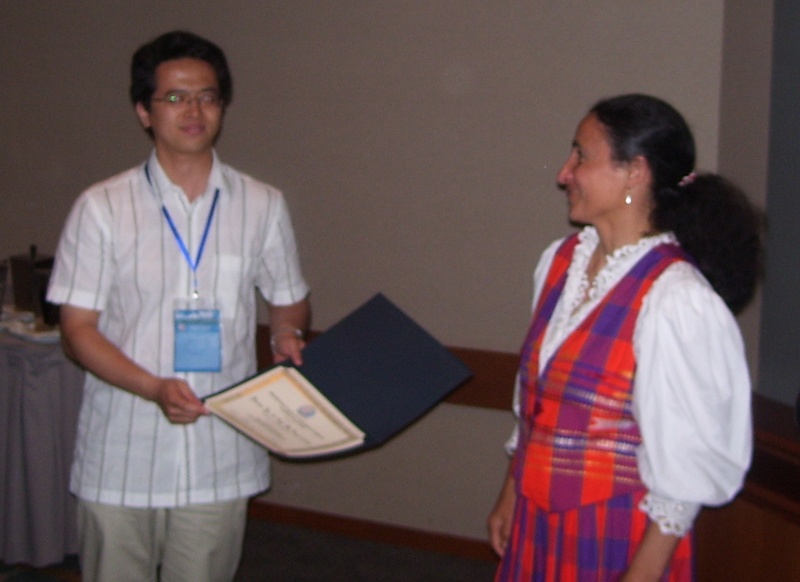 Right: Jianxin Yin receiving his award from Isabelle Guyon.